suri tapas bar | Fine Dining Restaurant in Lake Worth and Wellington featuring Alternative American Cuisine! Fine Dining Restaurant in Lake Worth and Wellington featuring Alternative American Cuisine! Suri Tapas Bar honors the traditional small plate “Tapas” style dining while offering a truly one of a kind American alternative cuisine. As you will see upon your first and every visit our vision is to bring the fun and excitement back into dining out. Our passion for food, wine, warm hospitality and unparalleled service will quickly make your family part of ours for years to come. We take the “farm to table” concept to the next level, literally with our rooftop herb garden. Our “Alt-American” cuisine also showcases many local farms and purveyors as well as many other responsible vendors offering the finest products available. We look forward to meeting each and everyone of you and have you experience our restaurant. Suri West in the heart of Wellington. Open for Business and setting Wellington on fire!. The same Excellent, one of a kind restaurant, Suri Tapas Bar in downtown Lake Worth has expanded into Wellington. As well as an excellent restaurant we are also offering 275 person capacity, seperate banquet hall, a very large patio dining area, A Bistro dining area in our elite status bar, a beautiful indoor dining room, and a private dining room! We’ll see you at Suri, West! Just heard about how fantastic this place is from Luke… cannot wait to visit! Heard how fantastic you are from Luke… can’t wait to visit! Just had dinner there. Fantastic food, fantastic service, fantastic atmosphere. Great addition to Lake Worth. Great Job! Really fun place to go relax and enjoy yourself. Great atmosphere it pulls in a fun crowd. The waitresses and staff are very friendly. Food and drinks are out of this world. Lots of luck Matt, John and Maureen. An exciting new dining/bar scene in downtown Lake Worth. Inviting atmosphere with a great vibe and attentive service. Enjoyed the eclectic music and excellent cocktails. Next time we will be back to try some of the menu items. Can’t wait to return! Just enjoyed my birthday dinner there. Food & service was terrific. You have to try the Rosemary Papardelle – fantastic!. Great addition to Lake Worth. Thank you!! First time trying the food – had two types of flatbread – apple brie & tomato basil – absolutely delicious! Shared some with the table next to us! Fun place ….the staff tries very hard to accommodate and Complimentary Valet Parking is an added plus! My husband even mentioned on getting some gift cards for Christmas gifts..to bring other customers in who haven’t been there yet..I hope they have them..
Matt, the Devil Dog dessert was amazing! We liked the use of the brownie a little better than the cake. Item 12, the octopus salad, was very tasty! See you soon! The tapas are my favorite dish really like it !! suri west is now open and on fire! 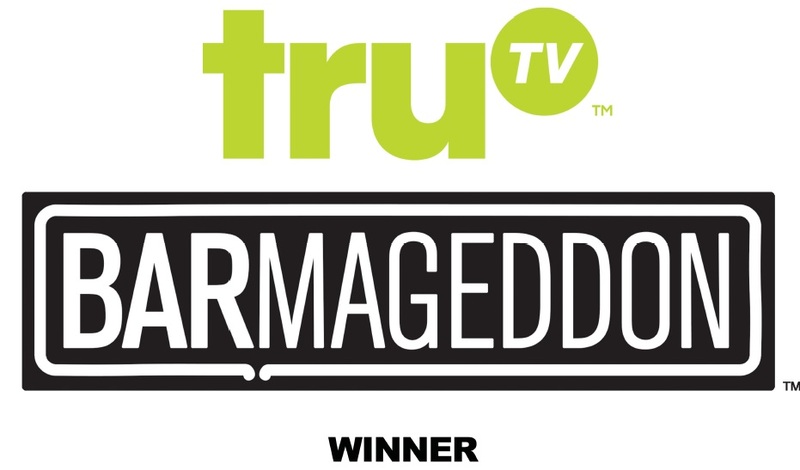 Matt Barger and Maureen Bunny Pata from Suri are stars on TruTV’s Barmageddon!!!! We’re getting great reviews and attention for Suri’s food and service!